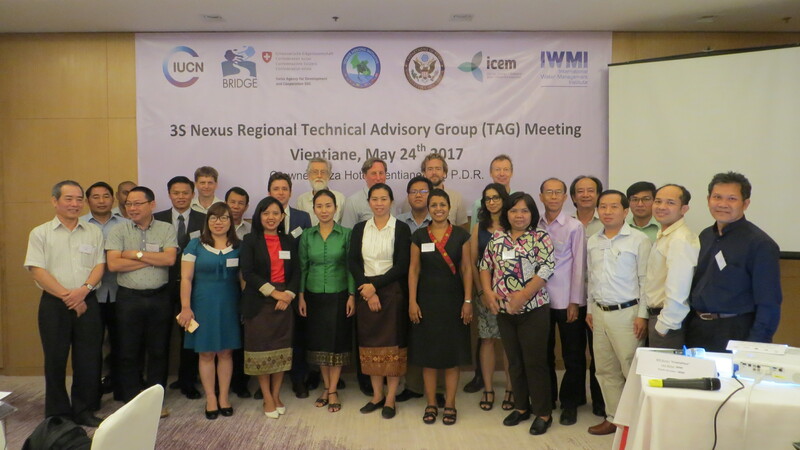 The one-day event, which took place in Vientiane on May 24th, was the second Technical Advisory Group (TAG) meeting of the Measuring, Understanding and Adapting to Nexus trade-offs in the 3S River Basins project, following the first meeting in early March. 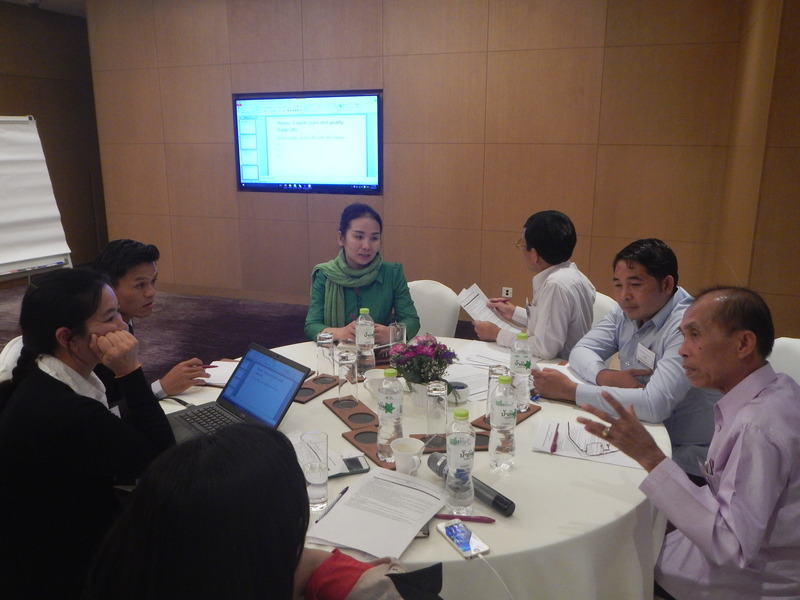 The project is a part of Lower Mekong Initiative (LMI) Nexus Futures Programme, and aims to understand the trade-offs between competing water uses and improve the quality of planning and investment in the 3S region. 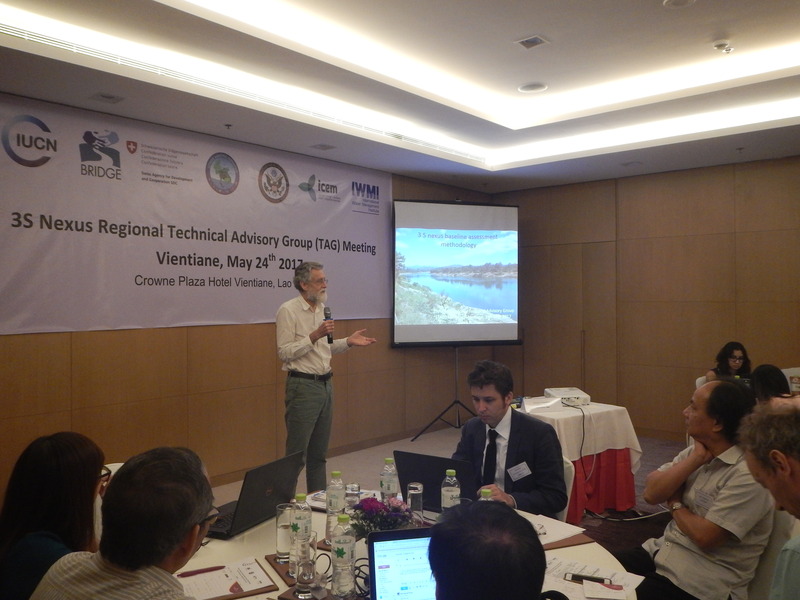 The meeting presented the TAG members with updated results of the analysis on status and trends of different themes that are of concern to the 3S river basins – the Sekong, Sesan and Srepok. TAG members from the three countries play a key role in not only contributing inputs to and being external technical reviewers of the assessment, but also disseminating and advocating results to policymakers. Assessment themes covered include hydropower, fisheries, agriculture, terrestrial and aquatic biodiversity, environmental quality, and climate change. Under each theme, key issues, drivers of change and trends were presented, methodology and data sets explained and information gaps identified. One of the main challenges is to produce comprehensive, consistent and detailed analysis of social, economic and environmental issues for all three countries and basins. Unavailability of data at provincial and district levels in the 3S, a lack of updated land-use cover data, and inconsistency in readily available data between countries are some gaps that need to be addressed. 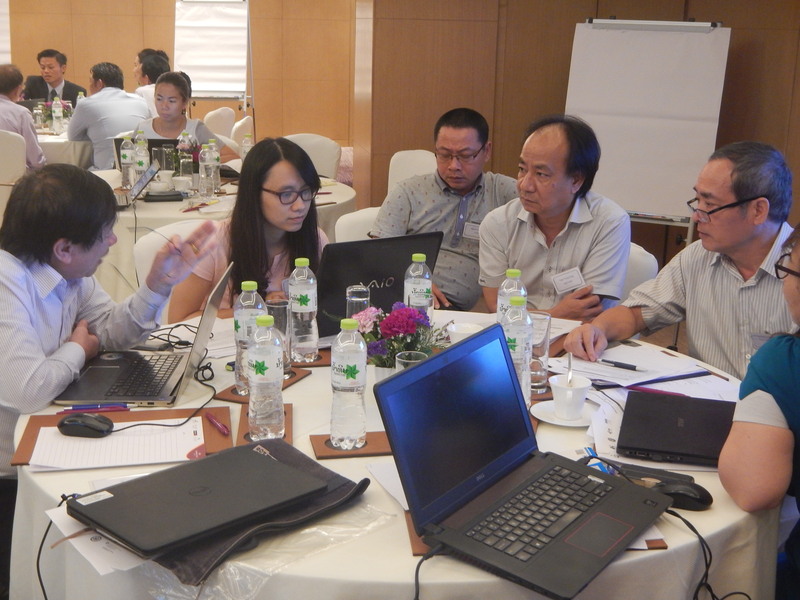 During the meeting, TAG members and the project team also had a chance to learn about the Freshwater Health Index developed by Conservation International (CI). The index provides key performance indicators of the ability of river basins to deliver water-related ecosystem services sustainably and to support decision making process. It is currently being trialled in the 3S river basins and will facilitate data sharing relevant to the nexus assessment. Closely involved in the design and delivery of the project, the TAG raised multiple questions and requested clarification on the issues covered and some that were not covered, and the data presented. They also provided their inputs on how and where information gaps can be filled. A key question was whether policy and planning was one of the themes since it is important to connect socio-economic and environmental issues with policies to best influence policymakers. “It is vital to link an analysis of government policies to those themes (that are covered in the assessment). Each of the themes include such analysis in order to examine past and future trends of key issues and their drivers of change,” Dr. Jeremy Carew-Reid responded. The afternoon session was dedicated to group discussions with country representatives providing expert judgement of the trends of key issues and the drivers of change under the six themes. They shared their knowledge on policies that drove these trends in the past, now and in the future, and identified issues and concerns that have not been covered by the team. They also discussed transboundary concerns and the interrelationship of the themes – how trends under one theme could be affected by trends under another, and vice versa. There are multiple management concerns regarding the development of the 3S river basins. The nexus assessment will help set priorities on key issues, which governments can follow up on. “The assessment is a chance to test the methodology that hopefully will help decision makers make the best use of water resources and maximise the opportunities for all three countries,” said Jake Brunner, head of IUCN Indo-Burma. 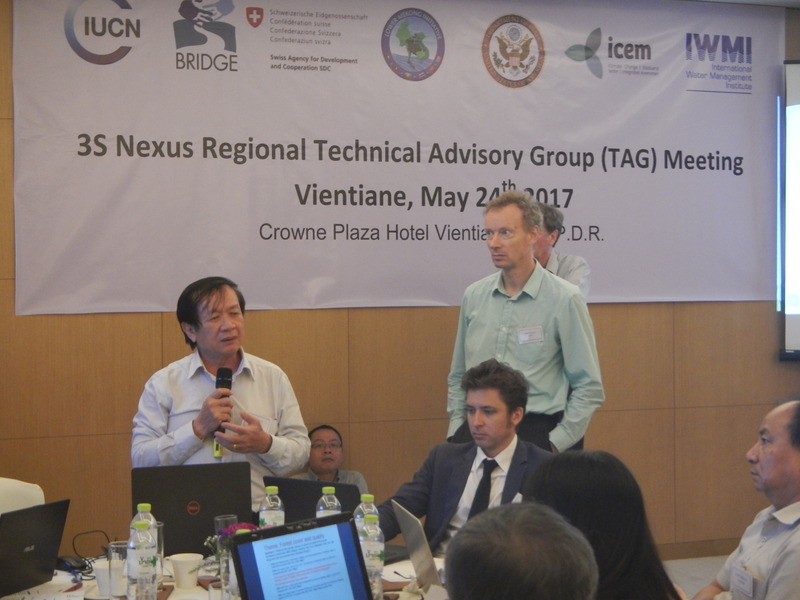 Co-funded by BRIDGE, the nexus assessment (stream 1) is being conducted by ICEM – International Centre for Environmental Management and International Water Management Institute (IWMI) in partnership with IUCN. The work is guided by the TAG. The assessment will be followed by an integration of the outcomes with key national and regional planning processes (stream 2) and finally, using these outcomes and principles to enhance diplomatic and economic regional dialogue (stream 3). The third TAG meeting is scheduled to take place in July 2017, and the project completion date is set for 2018.